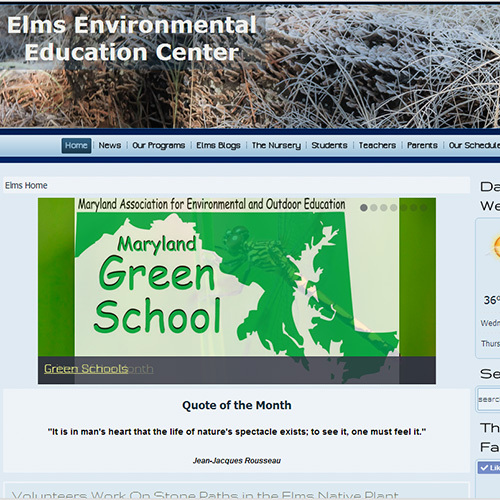 Since the creation of the Elms website as part of St. Mary's County Public School System's website in 2010, it has grown substantially in its content. Here you will find information about the programs taught at Elms, how to plan your trip to Elms and even the current weather at Elms. 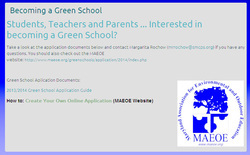 Want to know what plants you have growing around your school? Follow the link below to see pictures that will help you identify those native plants. Lots of color photos will make it easy for you to make a proper identification. If you would like to know about a plant that is not native: follow the link below. What plants are available from the Elms Native Plant Nursery?